The roof that presides atop your commercial building represents a huge financial investment and also acts as the first line of protection for your building and its valuable contents. It is important to protect the crucial asset that is your roof, and the first step in doing that is having regular roof inspections and needed maintenance performed by an experienced roofing contractor. 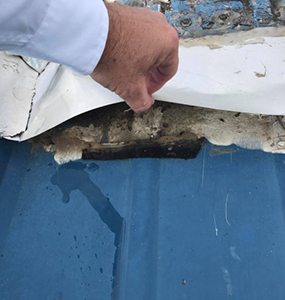 As a commercial building owner, can you answer the question, “What kind of shape is your roof in?” The majority of building owners can’t—which means they are likely way behind on needed inspections and preventive maintenance for their roof. Neglecting having these services performed can mean costly problems in the very near future. In order to maintain your roof warranty and to help your roof reach its life expectancy, your commercial roof should be inspected at least two times per year. These inspections should be performed just before the most severe weather seasons – in Ohio we suggest before summer and before winter. 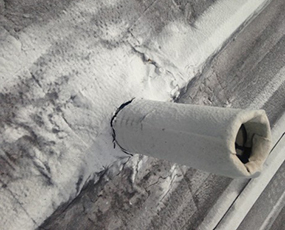 The extreme temperatures in the summer and winter can cause extreme stress to your roof. Ensuring your roof is in top condition before these seasons can minimize the damage caused by Mother Nature. When scheduling a roof inspection, it’s important to choose a trusted and experienced roofing contractor to do the job. There are many roofing problems the untrained eye cannot detect, and your roof is too expensive and too valuable an asset to leave to chance. When you need a roof inspection, you can count on the expert crew at E&E Construction Company. 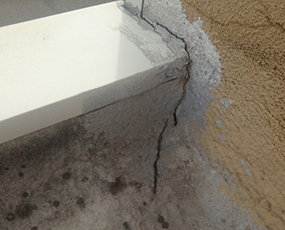 Our highly trained and experienced technicians are adept at spotting roof problems and developing issues and can inform you of the very best and most cost-effective solutions to address any problems your roof may have. We have been in business for more than 10 years, and in that time we have seen and fixed just about every roofing problem there is. Our many satisfied customers are quick to attest to our exceptional work ethic and out dedication to providing the very best customer service possible. Give us a call today, (740) 331-0695, to schedule a roof inspection or other roofing services. We can also set up a customized inspection and maintenance planned tailored specifically to your roof and its needs, to help keep your roof in tiptop shape for many years to come!